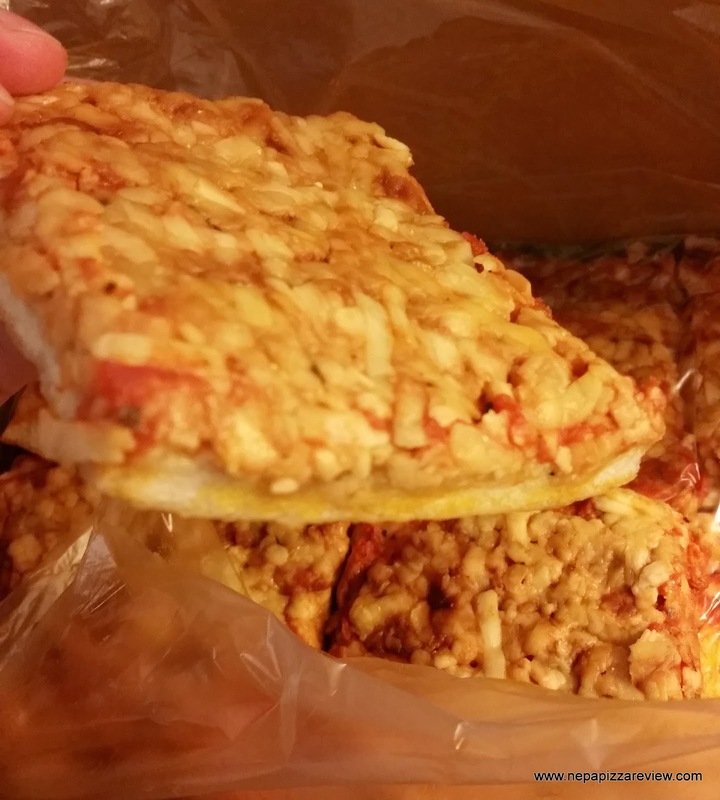 Pizza That You Don't Heat or Refrigerate??? It's not every day that this pizza critic runs into something totally unexpected and unlike anything else I've ever tried before, but trust me it happened today! I was attending a meeting in Luzerne County with a friend who happens to be the "Unofficial Mayor of Hazleton." He and I frequently discuss food and specifically pizza with the fabled scamutz (ska-mootz) cheese which is native to Hazleton. We have long talked about making a trip down to try the local cuisine which I have been looking forward to for some time now, but the Mayor fast-forwarded my attempt at trying some "pitza" as they call it in that area by bringing me a gift. 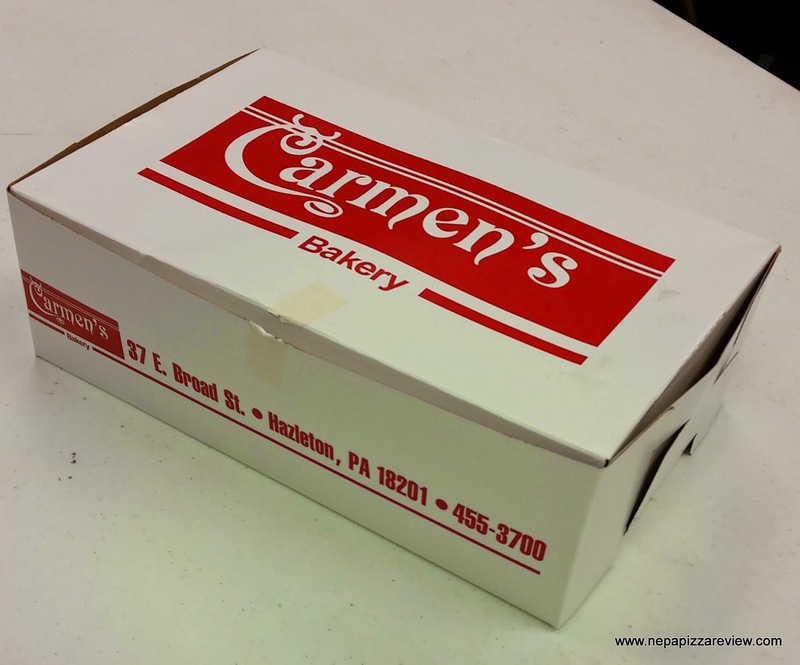 The gift was wrapped neatly in a bakery box with the words "Carmen's Bakery" emblazoned on the top. As I anxiously tore open the wrapping, I could immediately smell the pungent aromas resonating from inside the box. When I finally opened it I was surprised to see that there was a pizza inside! The Mayor quickly explained to me that this pizza was "Cold Cut" pizza which did not need to be heated or refrigerated. I'm familiar with pizza that you can buy in the refrigerated section of the supermarket which can be eaten uncooked, such as Nardone's Bros, but I've never heard of a pizza that didn't need to be refrigerated before! You can imagine my curiosity and skepticism toward such a bold claim. The Mayor told me stories about how he grew up as a kid taking this cold cut pizza on family trips with him to the beach and they would leave the pizza out on the table for three days before even considering putting it in the fridge. I looked at him in wide-eyed bewilderment not thinking that such a culinary feat was possible. He told me stories of the countless experiences he had eating at Carmen's and how wonderful the long-time owner of the establishment is. All of this talk made me want to take that trip down to Hazleton even sooner, but it also peaked my interest in giving this pitza a try. See how Carmen's stacks up against it's cross-town competition, Senape's!! 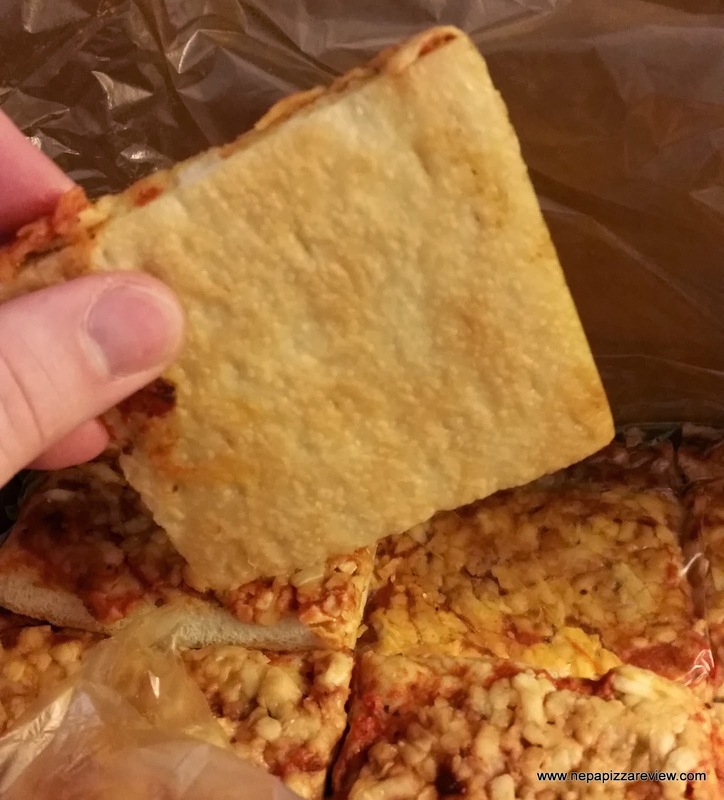 I lifted a slice out of the wax paper to notice that the base of this pizza was a soft, spongy, easy to eat crust. On top of the crust was a hearty sauce which packed a ton of flavor and texture. I was almost certain that there was some sort of meat product in the sauce, but I could not be sure. And sprinkled on the sauce was a combination of cheese which had to be some sort of sharp variety. Honestly, I couldn't guess the combination nor would I want to ruin the fun and mystery of this pizza, but it had tremendous balance and flavor that you would never expect out of a pizza that didn't need to be heated or cooled. I tried 2 slices of the pizza on my first sitting and to be frank I did worry that I would get an upset stomach, but the hours passed and I was healthy as a horse. I left the box of pitza on the table at room temperature and ate a slice later that night, and still no side effects. The next day I shared a few slices with friends and they had no ill effects. Instead they too were amazed by the quality of such a unique pizza. I continued to leave the pizza at room temperature and eat slices until day three when there were no more slices remaining. I had the pizza in my possession for at least 72 hours before finishing the last slice, each slice was just as good as the first, and I can say that the Mayor's claim that you can leave this pizza out for 72 hours is true (Disclaimer, I am not a scientist or nutritionist, nor is the Mayor, and Carmen's did not in any way indicate that it was appropriate to leave the pizza out on the counter. I am not recommending in any way that you try this, I am simply providing an account of my experience, nothing more). Overall, I have to say that I was totally surprised at both the very kind gesture on the Mayor's behalf and the fact that such a delicious cold cut pitza exists. I love the fact that a small business such as Carmen's has such a unique and useful product. I truly enjoy when I come across a new and unique pizza experience in NEPA, so thank you to "The Mayor" for this tasty and informative learning experience. 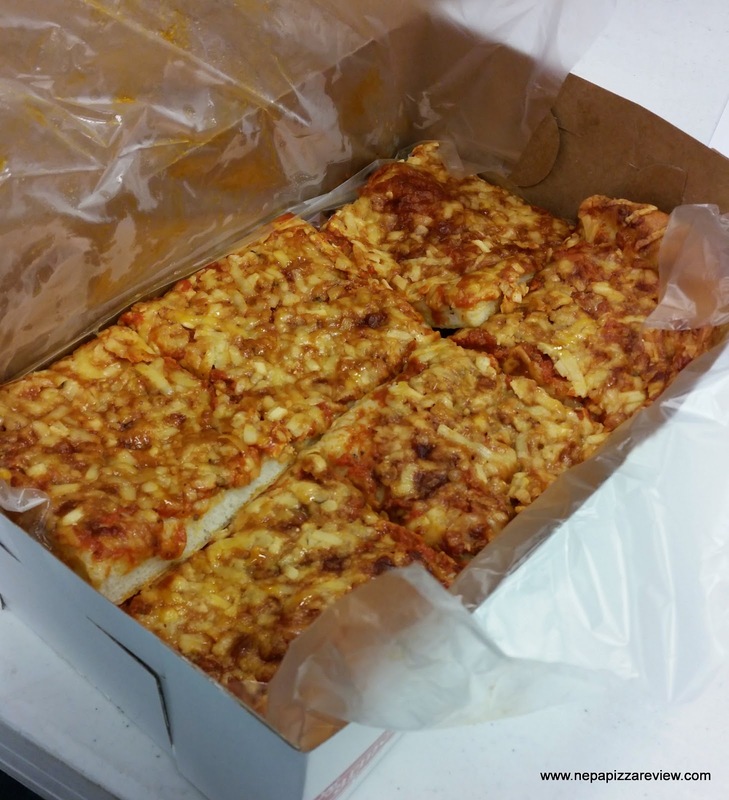 Has anyone else tried Carmen's pizza or had anything else like it? !